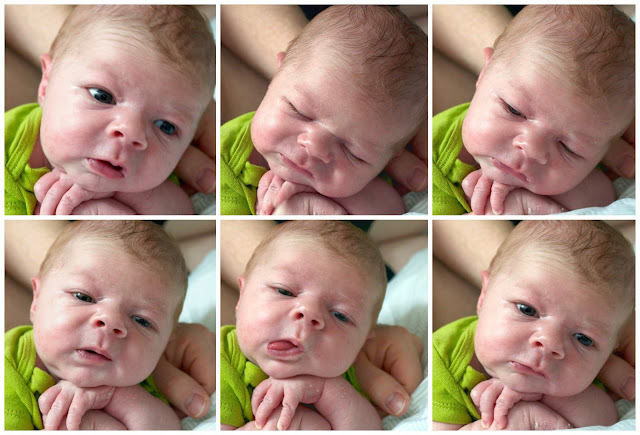 We're enjoying all the faces that Will makes during the day. It feels like every minute he's making a new one and it would be great if we could capture them all but he just makes so many! These were taken over just a couple of minutes. I personally am loving his little forehead wrinkles.